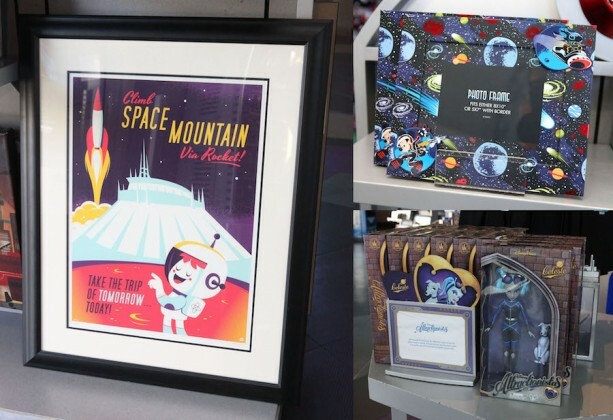 The Magic Kingdom’s iconic Space Mountain just celebrated an anniversary on January 19 and guests can check out some fun themed merchandise at the park’s Tomorrowland Light & Power Co. The store is home a fun collection of tees for adults and kids, but there’s one shirt that fans can only order online starting January 25. The shirt was designed by Disney Design Group artist Richard Terpstra and it features artwork based on the promotional art from the 1970s. The shirt can be ordered from the Disney Parks online store from January 25-31. Fans of Space Mountain will also find a themed photo frame, an Attractionista doll named Celeste, and artwork by Dave Perillo. And Vinylmation collectors can check out the new mystery set ‘Mickey and Friends in Space’ that arrives in the Disney Parks on January 29.